Yes, at Lake Area Painting it is a specialty. We are very good at making an old beat up table top or bar top into a new extremely hard varnished finish. The final finish can be a mirror-like gloss finish or a hand-rubbed satin finish. 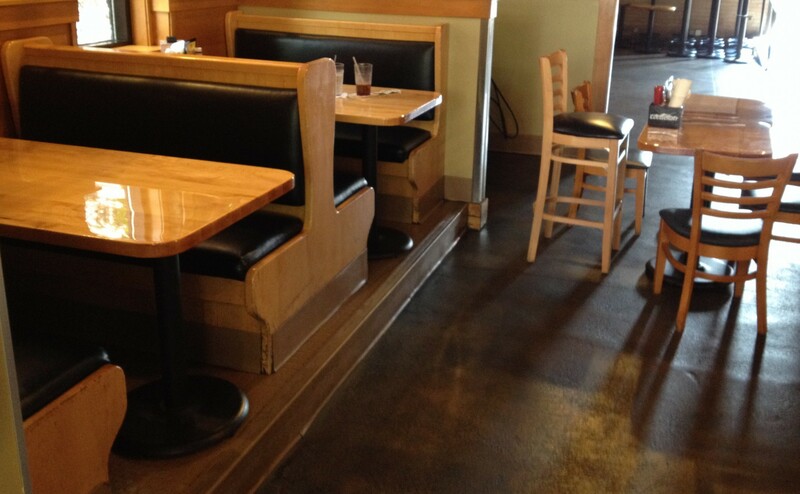 Bar tops and kitchen tables take an enormous amount of abuse, which is why we only use high-solid content polyurethane or epoxy in these situations. The most incredible part of our system is you will not need to close your bar or restaurant! The complete system can be achieved within 24 hours! That’s correct we can come into your restaurant and/or bar at 9pm on a Sunday night and by Monday night the smell will be gone and you will be looking at a perfectly smooth varnished surface. What is involved? All adjacent surfaces are covered and protected. All existing coatings are removed including a very fine layer of wood. All surfaces are sanded smooth and we apply 2-3 coats of varnish. We have several types of finishes to choose from, we can use lacquers, polyurethanes, or two-part epoxy. All are extremely tough and designed for long-term daily abuse. Call today 651-429-1778 for a no obligation estimate. << How do we keep your house from getting trashed during remodeling? Lake Area Painting and Decorating, Inc.
© Lake Area Painting & Decorating Inc.